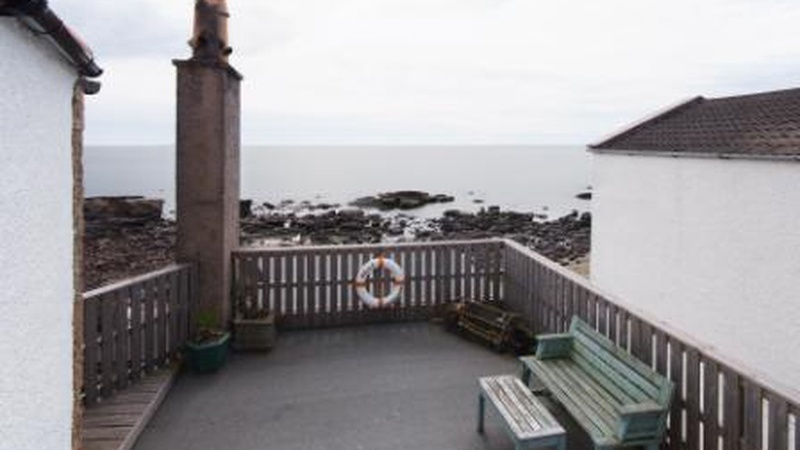 The delightful seaside property belonging to the highly regarded author and naturalist Richard Shelton, whose novels include 'The Longshoreman' and 'To Sea and Back', is for sale. Grey Gulls in the lovely East Neuk village of Cellardyke presents an extremely rare opportunity to acquire a unique property and enjoy life at the water's edge, with its stunning location perched dramatically above the shorefront offering uninterrupted views over the Firth of Forth to the Isle of May and beyond. Thought to date from 1730 and arranged over three floors, the charming accommodation is both deceptively spacious and of great character. The home has three reception rooms and four bedrooms, with an additional room that could be used as a bedroom or study area, as well as an enclosed courtyard garden and single garage. Sitting on Grey Gulls' rooftop terrace it is easy to see how this enchanting property could inspire Shelton to write some of his best known works. A wander down the quaint cobbled lane to the side of the house takes you to an attractive sheltered seating area right on the water, the perfect location to enjoy a fresh drink from the property's unique private bar, referred to by the Sheltons as the King George', built in the former fisherman's hut. When the weather turns cold, breathtaking views can also be enjoyed from either the beautiful sitting room or large kitchen/breakfast area, both of which boast large seaward facing windows and cosy open fireplaces. 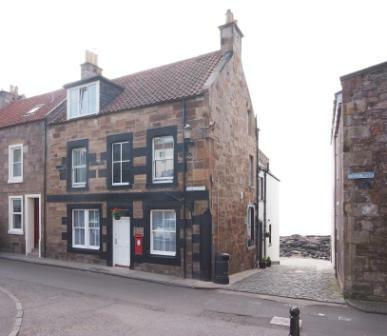 George Lorimer, in our Cupar office, said: "Grey Gulls is an absolute gem packed full of history and charm in a truly breathtaking location on Scotland's East coast. The sea views are unsurpassed and the private bar, known affectionately as the King George, is an ideal place to entertain family & friends, right on the water's edge." 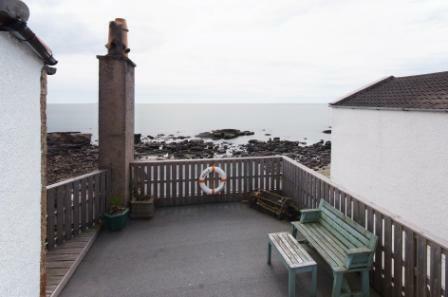 Local amenities are available in Cellardyke and the adjoining village of Anstruther, including an excellent range of shops, a health centre and a number of churches, as well as the highly regarded Scottish Fisheries Museum. Dundee is only 45 minutes to the north and Edinburgh an hour south allowing delightful coastal living within easy reach of main cities. For outdoor enthusiasts, the surrounding Fife countryside offers a wide range of recreational pursuits, including walking, cycling, fishing, sailing, riding and of course championship golf courses on your doorstep. Offers of around 450,000 are being invited for Grey Gulls. Find out more about this property.